So last week I was stomping around the house being all grumpy because I was about to run out of nail polish remover and a trip to Yves Rocher (in Ghent or Alost about, a 20 min drive) would be too exhausting, when all of a sudden I see the bol.com voucher that I got at the e-entrepeneur themed girl geek event lying around on my dinner table, so I decided to order over there. 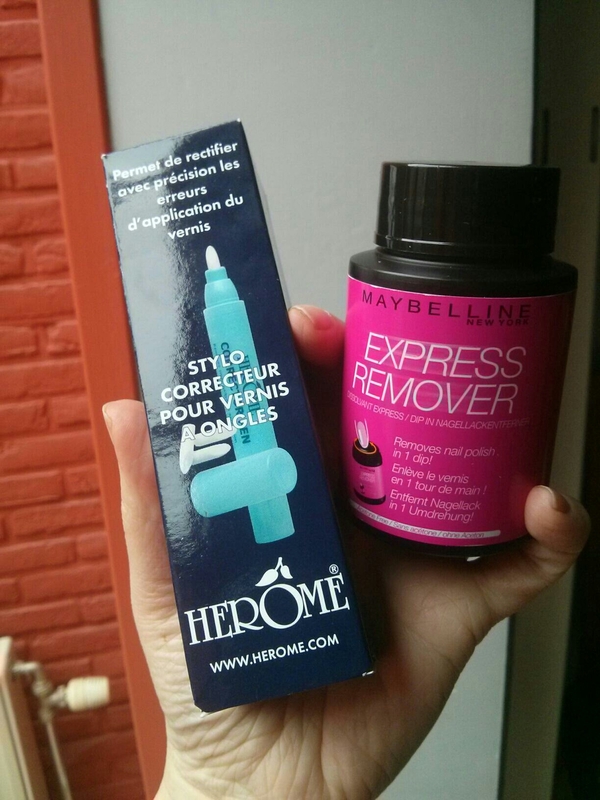 Herôme Corrector Pen hoping to put an end to my nail painting clumsyness. While at it, I also ordered some new make up removal wipes. I chose the Nivea sensitive skin ones because: a) I have sensitive skin and b) they had a 2+2 action on Nivea products going. Afterwards I realised of course that I could have ordered my regular stuff online, but that would have taken effort (creating an online profile) and wouldn’t have counted towards the customer fidelity program, so meh. Unlike some fashion lovers I’m not really a big fan of winter and tights, I prefer summer and strappy sandals, but since I’m not a bear and as such don’t hibernate, I do need them to be able to wear all my lovely dresses. So when I saw this Veneziana sale on one of the online outlet stores that I signed up for I couldn’t help myself and bought 4 pairs, of which one pair of leopard print tights.